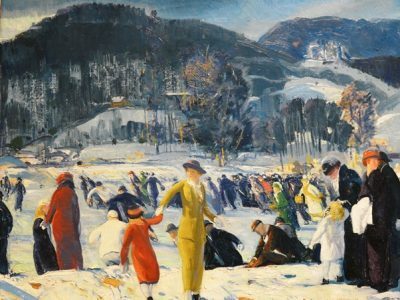 Okay, I am never going to love winter, but I do love this painting by George Wesley Bellows, who was born and raised in Columbus, Ohio. I am fascinated by the way the woman in gold is holding the child’s hand; it is a rather awkward position, almost as if they were about to step into a dance movement. 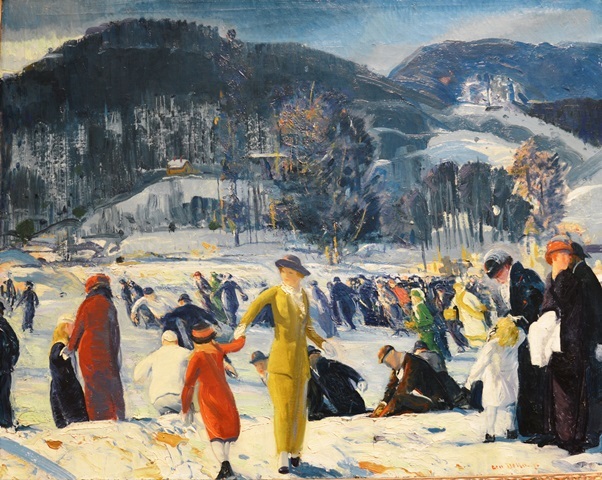 I also like the foreword momentum of the crowd, on skates; and yes, I am quite enamored by how elegantly these people are dressed to go ice-skating! If you find yourself surrounded by snow today, I hope you have the opportunity to maybe play dress up, at least a bit, and create your own beautiful snow scene.